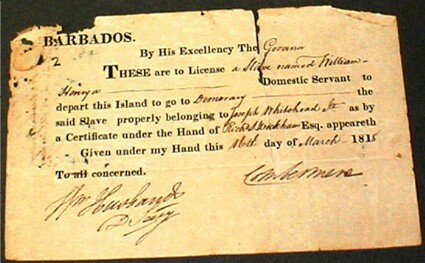 Should Barbados look to Germany and the Holocaust camps for guidance? I have visited Barbados many times over the past years and each visit is preceded by excitement at the prospect of reacquainting myself with friends made in previous years and the beauty of the island. This excitement is, however, tempered by the knowledge that Barbados has denied and neglected its history, both architectural and human, in favour of the “Luxury Dollar”. Walking around Bridgetown one is struck by the number of neglected historical buildings left to rot and decay. Just one example of many is the Eye Hospital. There are many more. They are treated no better than the eyesores of empty hotels along the Boardwalk. The Garrison area is one shining light, however Needhams Point, with its guns rusting in the sea, is now a part of the Hilton, for goodness sake! An example of the Dollar being more important than Heritage. It also seems that the Gun Collection in St Ann’s Fort is a national secret if direction signs are anything to go by. Driving around the island one comes across many old sugar mills and boiling houses. Maybe I am at fault but I have yet to see one restored to give visitors an idea of what they were like. A few days of cane crushing at Morgan Lewis is commendable but hardly inspiring. I could go on and on, but I think that you get the point.